One of my favorite ways to spend any "alone" time I get is listening to podcasts. Be it at the gym, on a solo car ride or while simply lounging at home, I relish in the opportunity to listen to others and learn from their wisdom and life experiences. 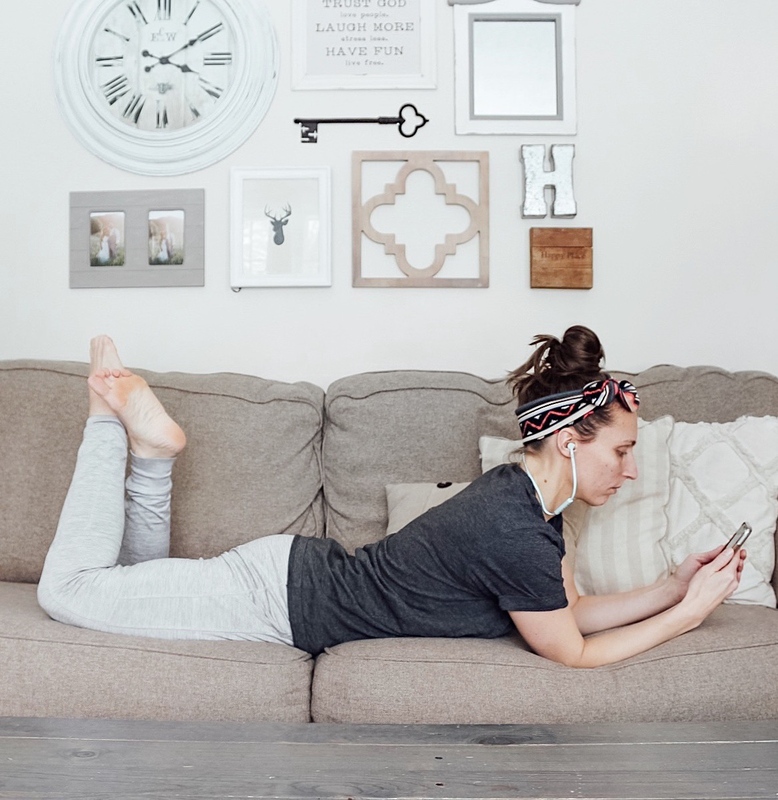 Many of the podcasts I'm loving lately, are geared toward the various facets of motherhood and cover a whole range of topics from child development and learning, to health, to fostering a gospel-centered home. I am so grateful to the women who have put their heart and soul into sharing their knowledge with us, so I thought I would spread the love and share a few of my personal favorites with you all today. 1. Mom Enough: A podcast featuring mother/daughter duo Dr.'s Marti & Erin Erickson that offers parenting tips and research based advice on a variety of topics related to raising kids today. 2. 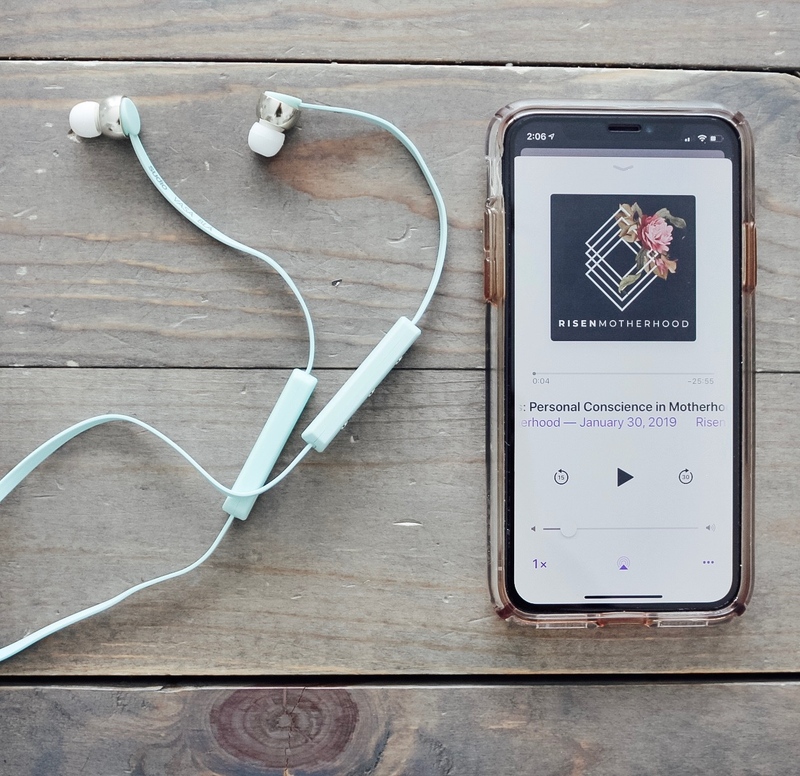 Risen Motherhood: A hope-filled podcast created by moms Emily Jenson and Laura Wifler aimed at encouraging, equipping and challenging moms to apply the gospel to their everyday lives. 3. Rise Podcast: This podcast with Rachel Hollis is just one of those that lights a fire within you and leaves you feeling empowered. While many of the episodes are geared toward business building, there are a variety of lessons that all of us can take away from them to apply to not only motherhood, but our daily lives as well. 4. Mindful Parenting in a Messy World: I love how Michelle Gale truly hones in on the idea of conscious parenting through this podcast and encourages us as listeners and parents to grow alongside our children through the process. 5. Just Enjoy Health: This podcast, hosted by chiropractor & mama, Dr. Meghan Birt, is my go-to for advice on all things health, nutrition, healing, self-love and more. 6. If I'm Being Honest: This podcast with Katie Crenshaw just started at the beginning of the year, and I am already hooked. Her goal is to share in those topics that are often less talked about in society and bring them to light. This one is definitely raw, real and honest and may even cause you to break out a box of tissues. 7. Coffee & Crumbs: Indiana Adams brings in a variety of bloggers, podcasters, mompreuners and every day mamas on this podcast to encourage and entertain all who listen through it's storytelling vibe. It always feels like I'm just listening to the advice and ramblings of a good girl friend when I tune in to this one. So there you have it. Some of my current favorite podcasts for all things motherhood! What are some podcasts you are loving at the moment? Feel free to share in the comments so that the rest of us can check them out too! My favorite at the moment is called “what fresh hell: laughing in the face of motherhood”! They cover so many topics and have some great advice from the hosts themselves as well as listeners! I am going to have to check that one out as I hadn't heard of it yet! Thanks girl!